Products manufactured in Guyana continue to improve steadily, as new market opportunities become available. 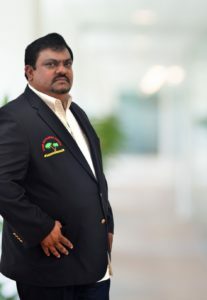 But instances where persons tend to find difficulty with Guyanese producers, Dave Narine, a consummate entrepreneur, sees a golden opportunity to distribute Guyanese and West Indian products across the United States (U.S). For nearly three decades, Dave has provided Caribbean products to supermarkets, restaurants and households across North America through Dave West Indian Imports. Spices, curry powder, chowmein, sodas and more recently, seafood, are some of the products from Guyana that are available to the diverse West Indian market in the U.S. Dave is undoubtedly one of the main entrepreneurs responsible for this. 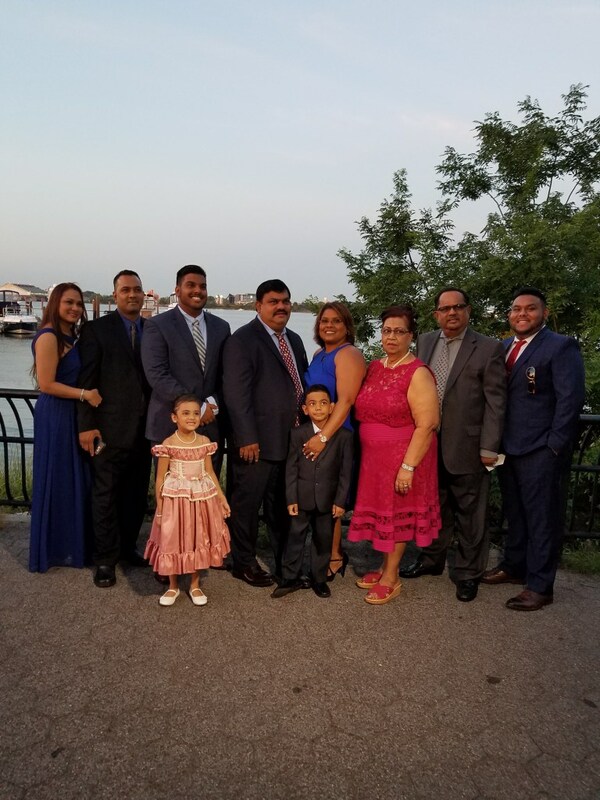 “When I started Dave West Indian Imports, it was my intention to push Guyanese products into the U.S. and world arena because of the good stuff that we have. Our products are sought after across America and we are bridging the gap,” Dave stated in his exclusive interview with the Guyana Inc. Magazine. He noted that his company operates two retail outlets at Liberty Avenue, New York and Takoma Park, Maryland. But before he could delve into the successes of these enterprises to date, he was more than willing to take the Guyana Inc. Magazine on a trip down memory lane; back to where it all got started. A VILLAGE BOYIf you ask Dave where he grew up, he instantly replies at the Numbers 59 and 60 Villages, East Berbice- Corentyne, because his house bordered the two villages. Dave was born at Number 59 Village and later moved to Number 60. He attended the Number 59 Primary School. He then attended senior classes at the Messiah School in the Number 71 Village. There, he wrote his Common Entrance Examination. His parents were teachers; hence, he received a bit more unwanted attention than his peers. Dave described his early days as a normal village life, spending time outdoors and playing with friends who have remained close to this day. According to Dave, he was always down to earth as he was not born into a rich family. “I would go with my friends to ride horses. I helped plant rice and round up cattle. We were lucky to have kerosene stove then, but I would go with my friends to fetch wood to light their fireside. I didn’t know it then, but maybe God was preparing me for what was to come in my life,” Dave recounted. He then moved on to Tagore Memorial Secondary School at the Number 63 Village. Dave then accepted a job in the Accounts Department of the Skeldon Sugar Estate where he worked for six months. This was as a result of his response to a newspaper advertisement for a Customs officer. He later moved to Georgetown to work for Customs at the age of 18. “It was hard then, because I could not cook at the time and being a village boy in Georgetown, I had to adjust to the fast moving city life. At first, I told myself that I will succeed,” Dave stated. Eventually, he brought his sister to the city to live with him, which proved to be a helpful move. Dave said that he enjoyed working with Customs because it provided many life lessons that he still carries with him. He was interacting with people at all levels of society. In 1986, Dave decided to apply for an American visa. I got this visa, but it was a sad moment for me because I didn’t want to go. I loved this job at Customs,” Dave stated. Following discussions with his close friend, Justice Prem Persaud, Dave was convinced that his journey to the U.S. would be beneficial. On May 4, 1986, Dave left for New York to explore the United States and the promise of a better life. Dave married the love of his life, Debbie. The union produced two sons, David, 21, a graduate with a Degree in Business Management and Finance; and Dylan, 19, a second year medical student. Both are St. John’s University alumni. “We met one day, and I decided to give it a try. I started selling from my car trunk. Would you believe that my storage was in my porch and in my house?” Dave asked. Unfortunately, the business venture ended when Dave discovered that he was not the exclusive supplier of the wafer as was promised. With other suppliers operating in New York, the wafer market quickly became saturated, forcing Dave’s exit. He sold the remaining stock of the wafer at cost and in some cases, below cost. It was a bitter lesson for Dave, but he persevered with the mission of becoming a successful entrepreneur. During a visit to England, Dave said it struck home that there were many English products being sold in Guyana which were not available to the New York market at the time. From Cadbury chocolate to the Sanatogen protein powder, Dave started sourcing a variety of English products for the New York market which were popular in the Caribbean. Convinced that he had built a launch pad for his business, Dave returned home to look for Guyanese products that would marry with the large West Indian population in New York. He travelled throughout the country, surveying the manufacturing industry. Starting with only one item, Dave grew to exporting hundreds of products from Guyana. “People were responding very well to the products. I lived in New York and we made inroads into the tri-state area and then sometime later in Connecticut. 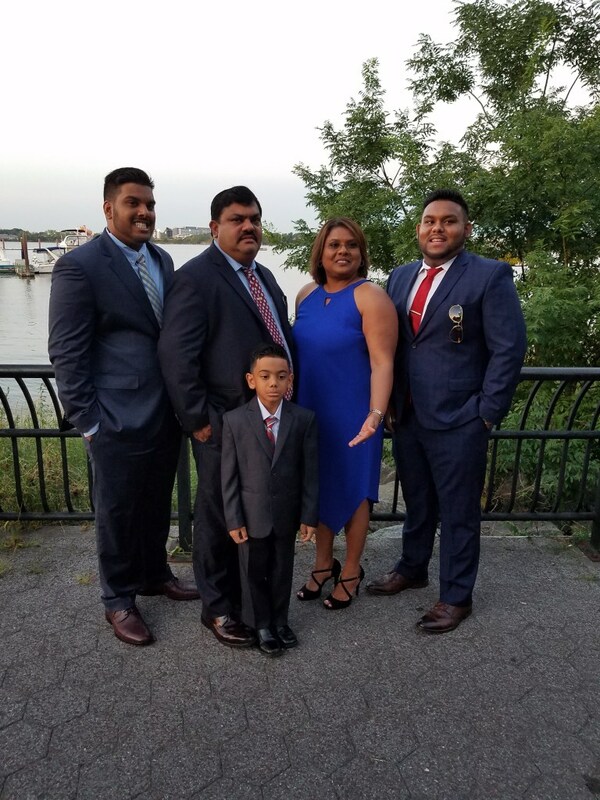 Guyanese and other West Indians from other states started to contact us in New York because they wanted to taste the products from home that they had grown up with,” Dave pointed. From across Eastern U.S.A, persons were contacting Dave to fill orders of cassareep, chowmein, mango achar, Icee sodas, cassava bread, pepper sauce, essence and golden cream butter, among other items. In fact, Dave became the official distributor for Beharry products, which include the popular Champion chowmein, Indi curry powder and the traditional Chico candy. The hottest product remains the chowmein, followed by the curry. Both products account for at least one 40ft container weekly. Dave is of the view that Guyanese products are on the move again, but warned that packaging needs to be improved. “Trinidad, Jamaica and Barbados, they have superior packaging than us. We do have several large companies here that can stand up. We have Edward Beharry, Sterling, Tandy’s, DDL, Banks DIH, Twins, and Ricks and Sari. These are all companies that can hold their own,” Dave outlined. He said other local manufacturers need to up their game. Over the years, Dave’s upbringing has shaped his outlook of life. He continually encourages friends and businesses that were failing to never give up. He embraces the motto that honesty is the best policy. “If you are going to do an honest business, you are going to survive. I kept telling people, do an honest business and you will survive. Pay your taxes and be nice to people. Do not overprice your product and you will last. I kept telling everyone in Guyana and in the U.S. to do the right businesses the right way,” Dave highlighted. He shared that a country runs on taxes and every businessman must pay their fair share of taxes. Dave advised that business owners must do whatever it takes to give back to the Government and to the wider community. In the U.S., Dave is involved in local politics and has been a staunch supporter of candidates who have contested city council seats, mayor, governor and senate races. He was also deeply involved in the formation of the International Center for Democracy. Over the years, Dave’s company has sponsored numerous cricket teams and tournaments.In Guyana, Dave’s West Indian Imports has sponsored the Joseph ‘Reds’ Perreira Cricket Foundation and for the past three years has been the title-sponsor for the Guyana Cricket Board’s Under-15 cricket competition. The company also supports the ‘Bless the Children Home’ which is located on the East Coast of Demerara and, during the Christmas season, gives out food hampers to the elderly and the less fortunate in Dave’s hometown, the Number 59/60 Village, East Berbice-Corentyne. “We are very supportive of religious events because they bring people together. 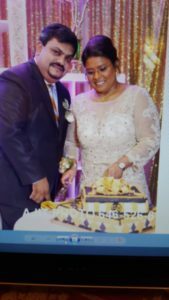 Dave West Indian is known for its charitable deeds and we will continue to support the community because the people have given us so much over the years,” Dave assured.